书籍简介: Start spreading the news, Christmas done New York, New York-style dazzles two country mice. When the pine tree they call home is selected to adorn Rockefeller Center, Mr. and Mrs. Mouse get the chance to explore the Big Apple. 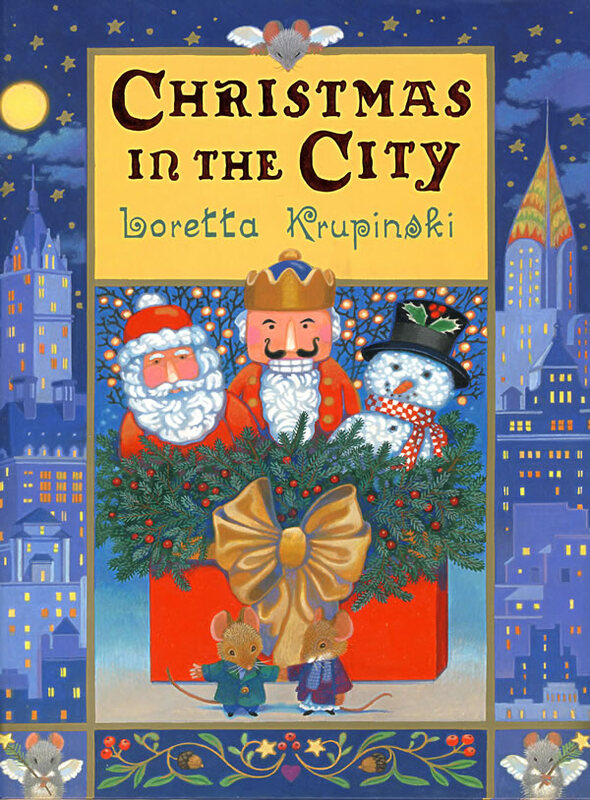 Framed by snazzy holiday-motif borders, Krupinski's (A Visit from St. Nicholas) paintings light up a smattering of Manhattan sights. The mice-capades, which involve Mrs. Mouse's giving birth in a churchyard creche, grow a little formulaic, but Gotham enthusiasts are likely to enjoy this view of the city at its holiday best. Ages 4-8.